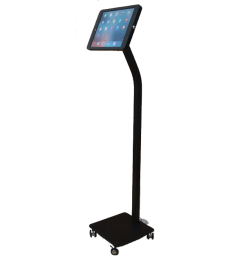 we went in the direction of a custom fit tripod mount exclusively for the Apple iPad. 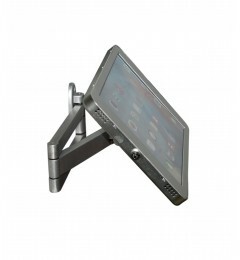 This mount works without a case only, it becomes the case for your iPad generation. 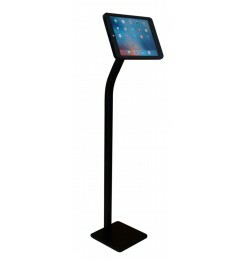 It is laser measured and custom molded all metal case for an exact snug fit for your Apple iPad. 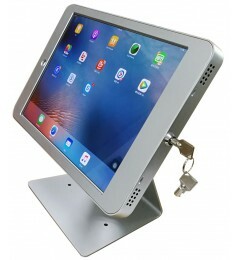 Simply place your iPad into the case, close the door and lock it shut with the key. You're now all set and ready to attach it to something. 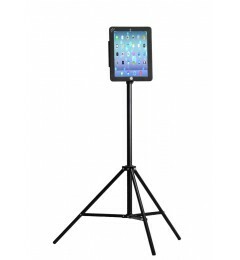 The low-profile design, portability, all metal material, locking case and lighweight attributes of the G9 Pro mount make it a great bang for your buck. 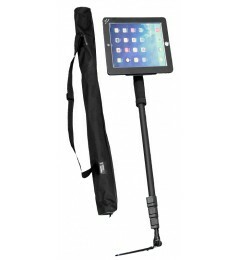 Safely and securely mount your iPad in the G9 Pro holder. 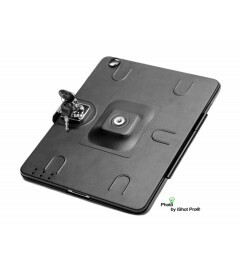 We currently sell the Custom Fit G8 Pro mount for the iPad 2nd 3rd and 4th Gen. and the iPad Air 2. 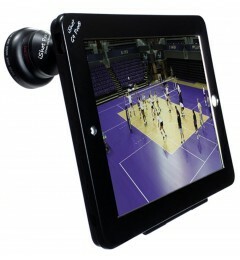 We also sell the G9 Pro mount paired with our popular selling accessories, we call them bundle kits.